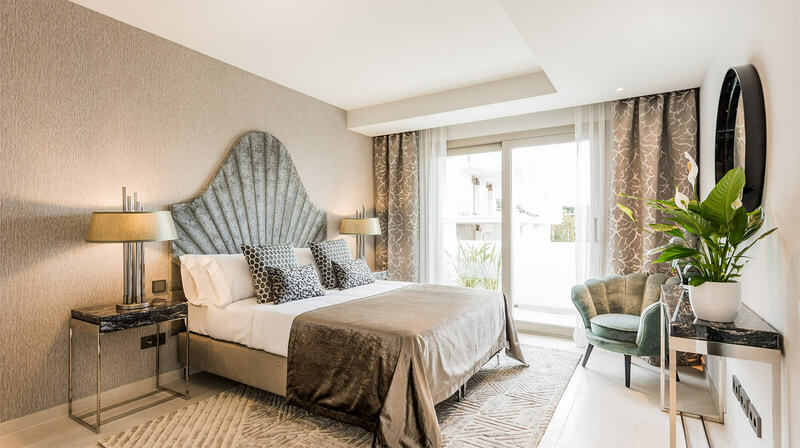 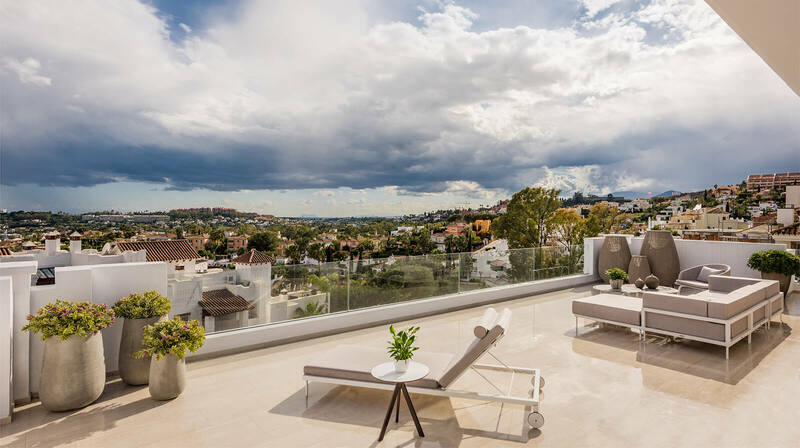 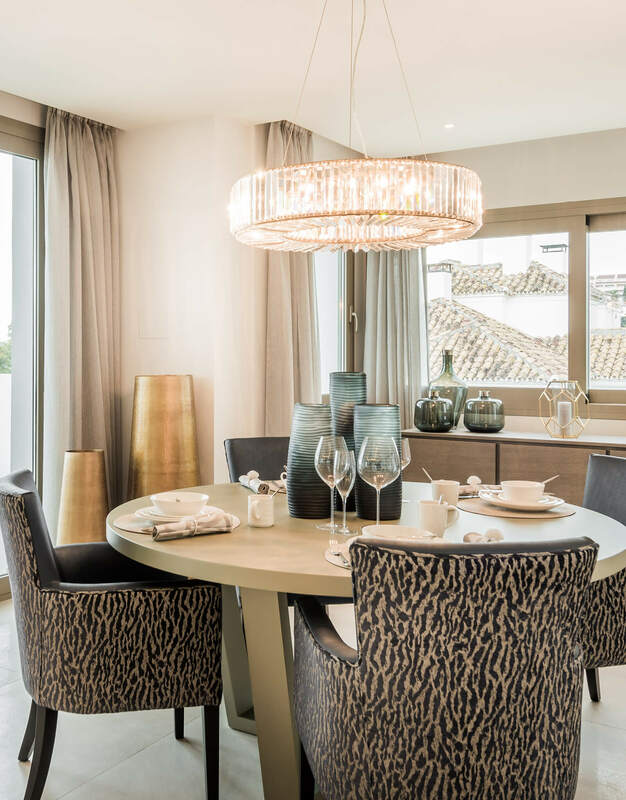 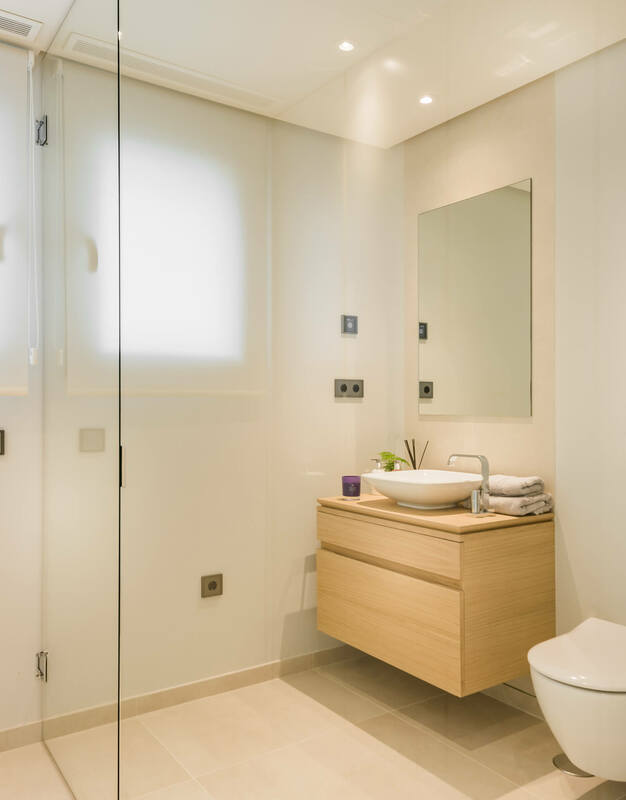 The essence of the Mediterranean is brought to life through this penthouse show flat, at the prestigious 9 Lions Residences in Marbella. 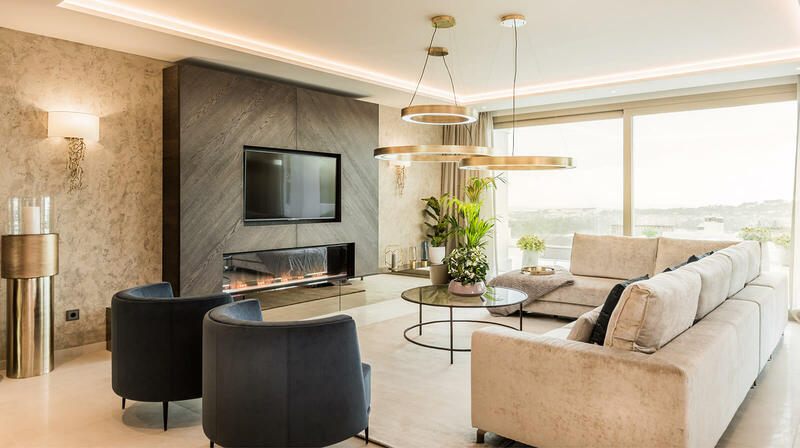 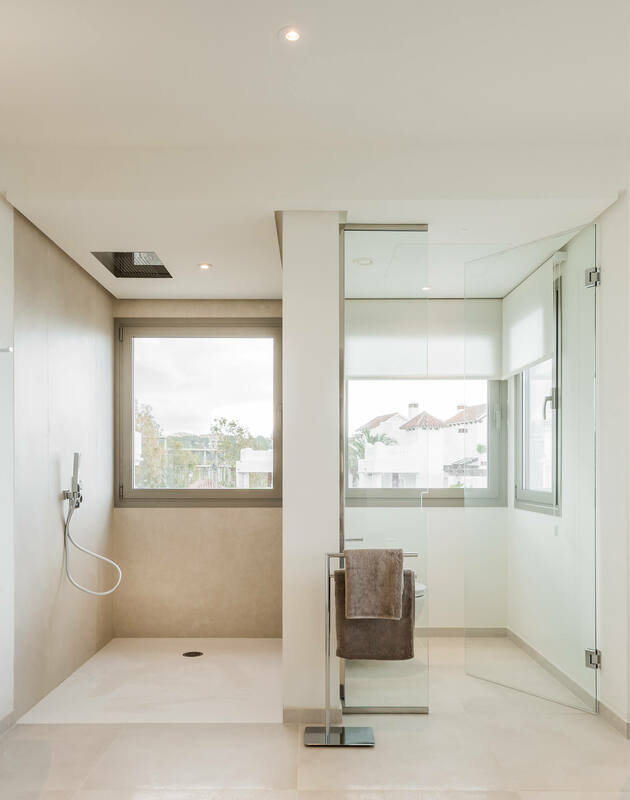 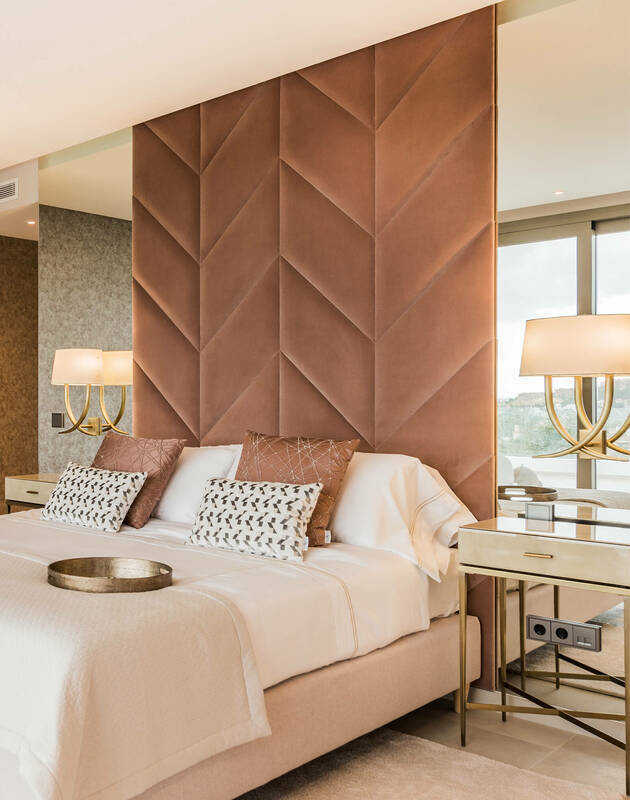 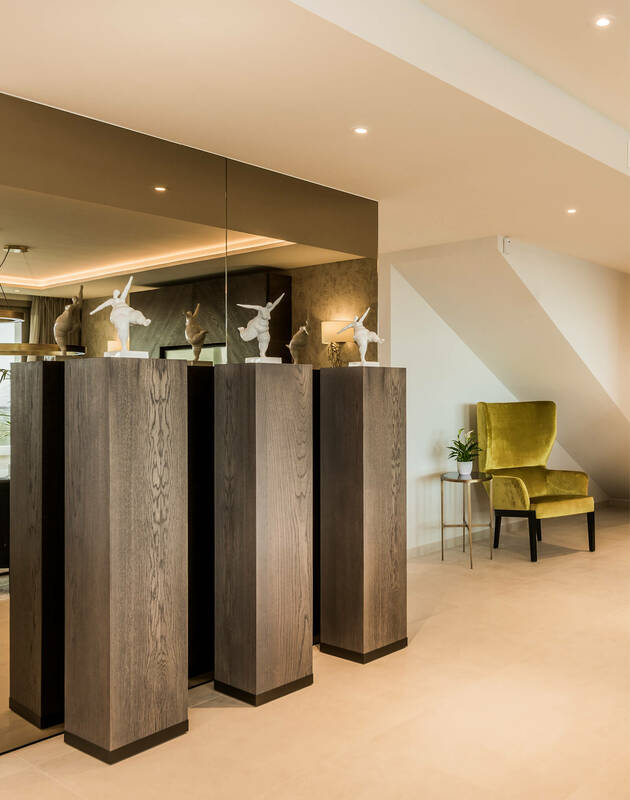 This interior scheme is a divine combination of natural materials mixed together with luxurious metallic lacquers, sumptuous velvets, bronzed mirrors and metals. 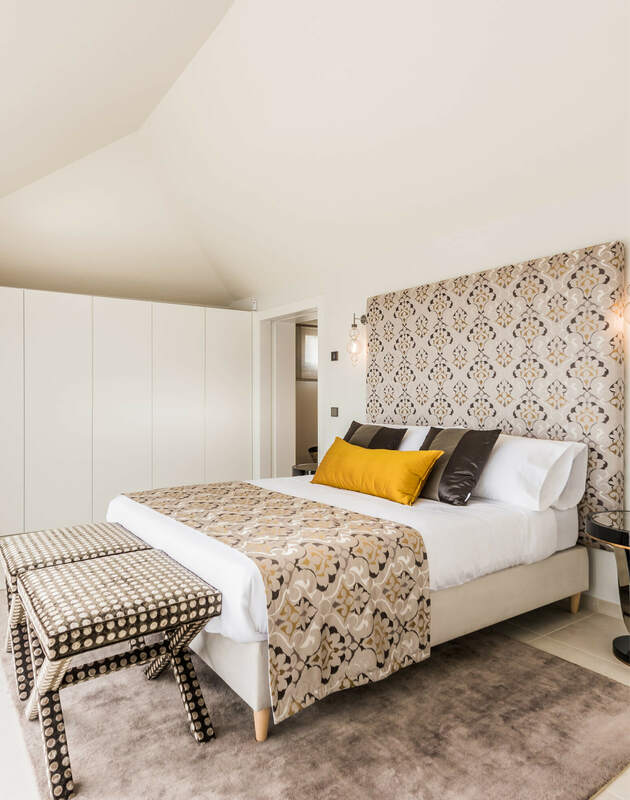 Accompanied by bespoke details, such as the hand crafted carpentry around the fireplace and a padded chevron stitched headboard. 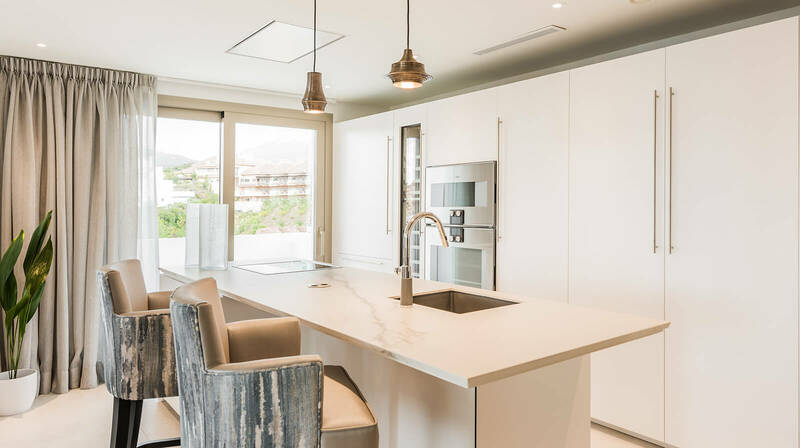 Accents of deep blues, pale marine and blush tones give this space a relaxed, yet elegant atmosphere, that feels like a soft Mediterranean breeze.